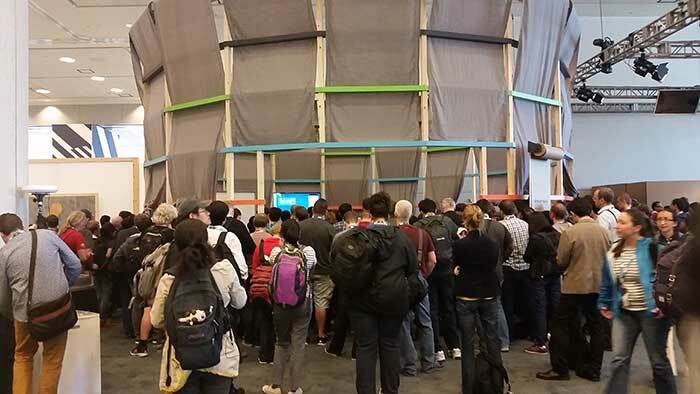 Google I/O. That’s the developer conference Google holds every year in San Francisco to explore the latest and greatest in tech, including web, mobile and everything in between and beyond! In 2013, only 8% of attendees were women and in 2014, it rose to 20%. This year I was lucky enough to attend I/O and was a part of the record 23% in attendance! How exactly did I score an invite to Google I/O? Google has a global program for women in tech—Women Techmakers (WTM)—that seeks to empower women in tech and create an inclusive tech community. Led by the amazing Natalie Villalobos, WTM teamed up with awesome organizations like GirlDevelopIt (GDI)—which I am a part of—and extended invites and discounted tickets to their members. Before I/O officially kicked off, there were plenty of opportunities to meet and connect with other female attendees. WTM created a group on the team messaging app Slack for us to connect with each other before the event and to stay connected afterwards. GDI members gathered early in the morning the day before the conference at a nearby coffee shop for hot drinks and conversations before lining up together to pick up our I/O badges. The night before I/O, WTM held multiple dinners throughout the city so everyone could connect in person over delicious food, drinks, and conversations. During dinner, we learned about the statistics of I/O female attendees throughout the years. It’s great to know that this year there were 23% in attendance AND half were attending for the first time, including myself! I forgot how many shrimp cocktails I devoured before dinner or how many oysters I slurped, but it was a great crowd and the food was spot on! The great thing is that although many of us were attending the conference alone, WTM and GDI made it possible for us to attend as a part of a community already. We were ready to take on I/O! I can’t talk about everything that happened at I/O because then I would bore you with a very long post. I’ll highlight some of my favorite moments instead. The keynote had a limited audience and was assigned on a first-come, first-serve basis during badge pickup. Luckily, I was able to see the keynote live! Inside the keynote room, there were giant screens that almost wrapped around the entire room. Guess what? It wasn’t all white dudes presenting everywhere! Aparna Chennapragada, the Product Director of Google Now, was a great speaker. She made me excited about having my phone take over my life. She introduced Now on Tap, which is Google Now on steroids. The important thing about Now on Tap is context; it makes your smartphone smart enough to help you with tasks right away based on the context in your screen. The map wasn’t super user-friendly. There wasn’t enough time to get from one place to the next. But on the second day, knowing what I learned from the first, I was able to navigate better and even get good seats! Check out these 3D printed hands from exiii! Checkout some very cool stuff from Google’s Advanced Technology and Projects (ATAP)! Project Tango was pretty sweet too. It combines awesomeness (3D motion tracking with depth sensing) to let a mobile device see how we see. Below, I was a giant in a world with tiny people and houses, really pointy trees, and there were specks of light floating all over. One of the best talks at I/O was Speechless—one you wouldn’t want to miss out on! It’s based on a SF comedy show but with a nerdy tech-conference twist. The Googler contestants spun a wheel to determine the type of speech (e.g. product launch, keynote, etc. ), then the audience came up with a topic, and finally the contestants had to walk through a random slideshow and present their talk. The hilarious improvs ranged from opossums to Texas to even Android Underwear. Who knew that Googlers can present on stage and tell jokes on the fly?! This was probably the best last session you could have attended. Overall, Google introduced a lot of very cool projects and these were only a few of them. There’s an exciting future for mobile! Some people take swag very seriously. After a session I attended ended, the presenters set out some stickers for attendees and a small crowd formed. I watched a guy rudely push through a crowd and knock another guy over because he REALLY wanted those free stickers. He also took more than he should have buuuut like I said, some people take swag very seriously. I’m glad I received an exclusive opportunity to attend I/O. Did I mention that this was my FIRST tech conference ever?! Well, it was and overall it was a memorable experience. I met a lot of great people from all over the world, including amazing women who inspired me with their stories and backgrounds. I’m glad to hear and see Google taking the initiative to be more inclusive of women and minorities within the tech community. Increasing the female attendance rate at I/O has been awesome, but what can we all do to improve the overall statistics on women in tech and leadership? In my corner of tech—marketplace lending—my workplace Funding Circle is working to increase diversity both within and outside our offices. We have a community that promotes the professional and personal development of the women at Funding Circle, including recruiting efforts. We are also making the lending process more accessible to women entrepreneurs who traditionally lack access to affordable capital and that has been a very good thing. Learn more about it here! 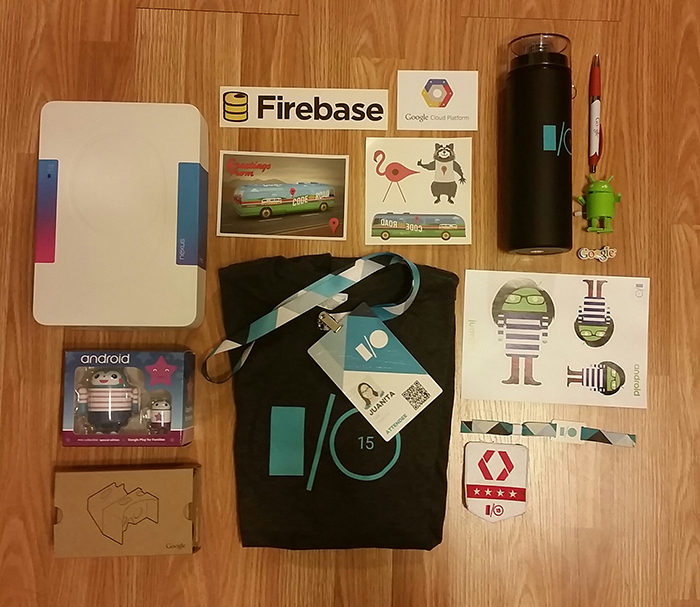 If you missed out on I/O this year, be sure to check out the videos here. Again, a big thanks and shout out to Women Techmakers and GirlDevelopIt for making it happen!